The need for Caringo’s solutions has never been greater and I look forward to continuing our rich history as a pioneer in the space. 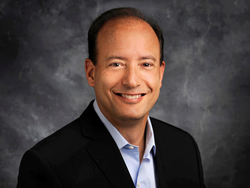 Caringo, Inc., a pioneer in software-defined object storage, today announced that the Board of Directors has unanimously appointed Tony Barbagallo as President and Chief Executive Officer (CEO) of Caringo. Mr. Barbagallo will also become a member of the Caringo Board. He succeeds Caringo’s current President and CEO and Co-Founder Jonathan Ring, who expressed to the Board his desire to move into the Chief Technical Officer (CTO) role to focus on the company's strategic product direction. Mr. Ring focused on product development from the inception of Caringo until moving into the CEO role in 2015. During his tenure as CEO, he helped to reshape Caringo—driving the organization in making data-driven decisions on solutions and partnerships targeting high-growth sectors in M&E, HPC and Federal/Local Government. Throughout his 30-year career, Mr. Barbagallo has leveraged his extensive experience to establish and grow hardware, software and service organizations. He has held a mix of leadership roles at small and large companies, including VP of Marketing and Product Management at Skyera, Clustrix, WildPackets (now Savvius), and EVault, VP of Marketing and Sales at Dantz (acquired by EMC), and senior management positions at Microsoft, Mentor Graphics, Sun, and GE.